Illusions has been announced the winner at that luxurious gala event and got its Seven Star Travel Technology Award. 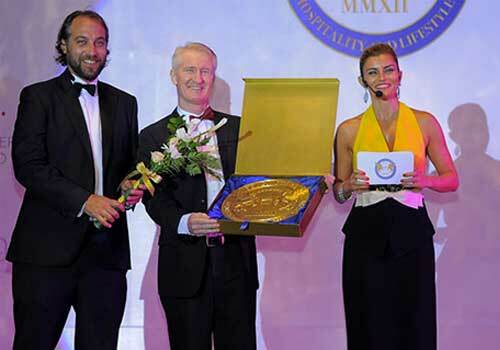 The Seven Stars Luxury Hospitality and Lifestyle Awards took place at the Trans Resort Bali on September 19th 2015. The leading Lights of the Luxury Hospitality and Lifestyle industry gathered at the beautiful Trans Resort Bali to attend and collect their awards from the 3rd annual Seven Stars Luxury Hospitality & Lifestyle Awards. Receiving this prestigious award further cements Illusions’ status as the world’s leading travel technology provider and recognises our ongoing commitment to the global travel community,” said Illusions Online founder and CEO, Faisal Memon. Illusions would like to thank its users and customers all over the world along with our team members who make the impossible possible. This award is testament to the excellence and dynamism of the entire Illusions team and also to the loyalty of our valued customers all over the world, who trust in our cutting-edge technology to power their entire operations.